Among the many parenting challenges of our time — the problem of kindergartens, without exaggeration, one of the main. Thousands of moms and dads worried about how would they have time to get into kindergarten. The situation here is really complicated, because the number of kindergartens over the past ten years much diminished, and the birth rate increased significantly. Not to be left out of the preschool will help you with a few tips. The Council first. Do not delay your visit to kindergarten! Many gardens have a line of people waiting to get there for two more years. Therefore check you have chosen the garden as soon as you receive the birth certificate of the baby. Remember, officially in kindergarten enrolled from 1 June, but recorded on this day to start walking on 1 September is possible only by chance. Each head of the garden there is a special notebook in which he writes all the candidates try to be on the list for the desired year. Example. You came to enroll in October 2010. Your baby is now 1 month. You recorded under the number "8" in September 2012. This means that when the child is 2 years he will go to kindergarten from September 1. By the way, most preschools accept children from 2 years. In the above example, parents can from time to time to remind myself the head and not forget come the 1st of June, to arrange in a kindergarten of their child. The second tip. Do not be lazy, and sign up to several gardens. Make a list of desirable preschools and enroll in them. This will significantly increase the chances to be in the coveted list. Remember that the lists are constantly changing. Employees of kindergartens from time to time call up potential candidates. Someone leaves, someone gets to another place, so the queue is constantly moving, the main thing to not forget. As a General rule, once a month to visit the heads and remind myself. The third Council. During the first visit to kindergarten, try to convince the Director of his usefulness. We are not talking about a bribe. Just work with parents — the most important part of the life preschools. Each head wants his garden was the best, and parents can help. It can be claimed your professional skills, Hobbies, especially needlework, photography, etc.). You can help to organize and carry out the repairs, to assist in the purchase of equipment — anything. In principle, every person can be something useful for the garden, important to be able to explain this administration. Remember, if you want to go to kindergarten their child, must show their willingness to participate in the life of all companies. To simplify your task look around, pay attention to the interior garden, the plan of educational work, a list of circles. This will help navigate the conversation with the administration. The fourth Board. Pay attention to your appearance and demeanor. Everyone agrees that to deal with a decent, cultured, intelligent man, much nicer than with anyone else. What follows from this? You should look neat, simple, tasteful. A minimum of jewelry. Especially this point concerns young parents up to 25 years. They are often perceived as children, so they create a favorable first impression is very important. In General, the situation is that you are asking, and we must behave accordingly. In this article, we deliberately have not considered such methods to draw in kindergarten a kid is like Dating, sponsorship or scandal in the education authorities. Life shows that the listed tips enough in 9 of 10 cases. 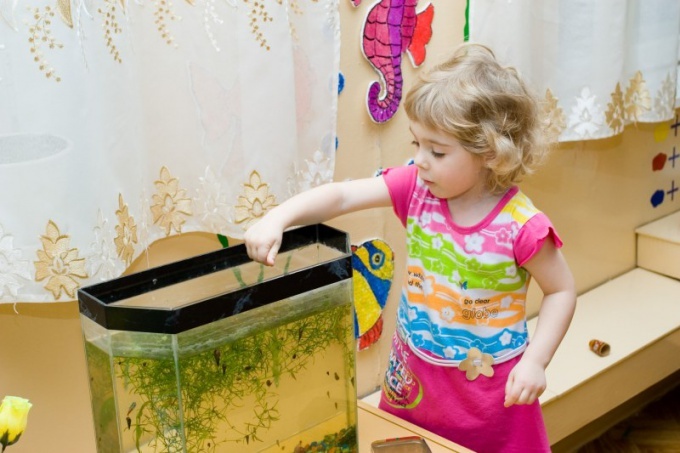 The problem with places in kindergartens exist in all the major cities of Russia. No wonder, because over the last 20 years the number of kindergartens decreased by almost two times. In Nizhny Novgorod the situation with the gardens not better than the capitals, so parents, it is important to consider this question since the birth of the child. Stand in a queue in the district of RONO. To the number in the queue is best immediately after the birth of a child and registration of birth certificate. RONO exists in each district of Nizhny Novgorod. Find out office hours and be prepared to stand in line. You need to have a passport and birth certificate of the child. If you have room in your queue, write it down, not to lose. The results offer practiced in Leninsk, the Moscow and Kanavinsky areas of the city. Nizhny Novgorod parents who have lost a room, warned that to restore it quite problematic due to the lack of an electronic catalog in the Nizhny Novgorod district Board. Unfortunately, members of the district Board seldom meet, courtesy seeking the lost room. Most likely, you will have to rewrite to another location in the tail of the queue. In some districts of Nizhny Novgorod is the issue number you appoint a date when to appear for a ticket. Use the benefit of getting a place in kindergarten, if you put it. The priority right of admission to the kindergarten are the children of workers and children, brothers and sisters whom attend the kindergarten. Benefits are also based on children of police officers and soldiers, the children of working single parents, children of pupils of mothers, children, disabled persons of I and II groups, children from large families, children under guardianship, children of judges, prosecutors and investigators, etc. To get the benefits provide in RONO supporting documents. Arrange work in a Junior kindergarten teacher or nanny. In many kindergartens in Nizhny Novgorod constant shortage of personnel, and, most likely, after a conversation with the head you will draw on the work and the child — a kindergarten. That place was assigned for a child to work in the garden will need a year or two. Remember that there are paid services. Private kindergarten with a comfortable work schedule can be a good option for working parents without any financial problems. Monthly payment for a kindergarten in Nizhny Novgorod varies from 12 to 20 thousand rubles. Question of the device of the child in the children's garden care expectant mothers long before his birth. Even if you just put the baby on all - it does not guarantee its receipt in preschool. Because like you hundreds (and sometimes thousands), and places are sorely lacking. If you are not able for some reason to get on the waiting list, do not despair. Arrange work in a children's garden. Then your baby will grab at any time and without problems. Only you have to be prepared that you will be offered an inappropriate to your status post. For example, you have a higher education, and open only the vacancy of Junior tutor. In this case you have to neglect your ambitions. Besides the salary is low. If this does not suit you, you can with the time again to go on maternity leave (if you plan). Perhaps other developments - getting a raise through the ranks. But in this case, if you like working with children. 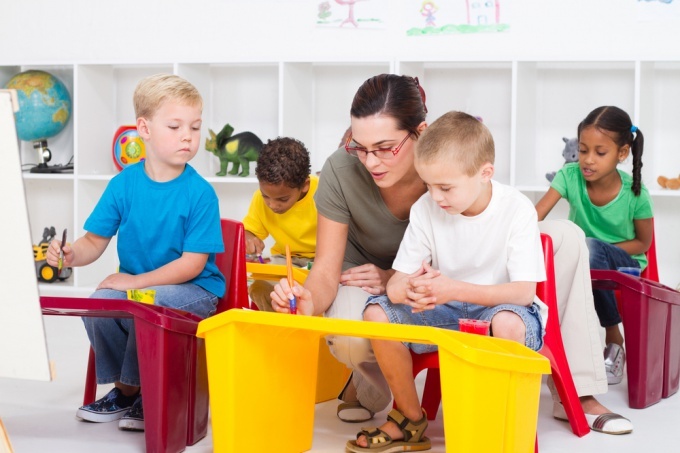 Choose a preschool with an average status. Of course, every parent wants to give their child in a prestigious children's garden. To make a baby in such an institution is problematic, even if you are standing in a queue. And in this case can not be choosers. Make the relationship with the head. Not everyone knows, but usually on the first of September in groups of a set are 2-3 places free. Therefore, agreeing with the head, it is possible to get a ticket in the children's garden. Usually parents are asked to provide financial assistance to the institution in the form of cash or gift. For example, you will be asked to buy a washing machine, toys and anything else. Can agree or refuse - you choose. If you belong to the privileged categories of citizens, then your child have to take in the children's garden without queues. Of course, usually in this case we say that there is no space. You don't believe. It is calculated on legal literacy of the person. Show that you know something and do not intend to deviate from the goal. Offer to read an excerpt from the law. In extreme cases you can complain to the city administration, the Department on work with the population. Admission for children in preschool take care of his medical records in advance. Otherwise, under this pretext to refuse. It is advisable to get on the waiting list to kindergarten with the birth of a baby. This further increases your chances.